Chocolate explored the lush environment in which the cacao tree originated, tracing its transformation from the rainforest to a locally consumed food, medium of regional exchange, and eventually to the world market as an economic commodity. 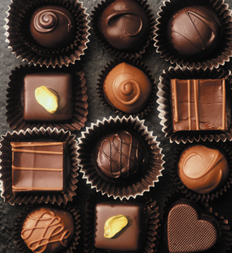 Visitors discovered chocolate’s impact on human cultures and tropical ecosystems. This exhibit was organized by the Field Museum.